of the production capacity of 22,000 litresbeing used. 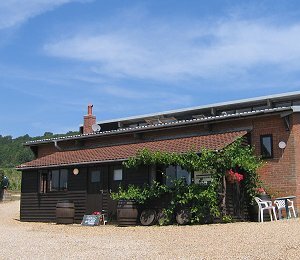 The property is also fully licensed for on and off site sales of wine and beer. Furthermore it isin an area of outstanding natural beauty with extensive sea views.The auction will take place at The Radisson SAS Portman Square Hotel in London on Monday18 February. Further information, including copies of the brochure pages and detailed descriptions, canbe downloaded from collierscre.co.uk. A new promotional organisation called Wine Hotels Collection (www.winehotelscollection.com) is bringing together hotels throughout the world with a very specific wine connection. 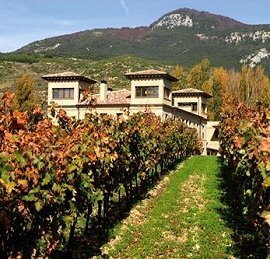 The hotels are mostly smaller boutique hotels situated in vineyards, usually as part of wineries, but might also be hotels with extensive wine cellars, or which are situated on recognised “wine routes” and which have activities related to wine such as tasting facilities and wine tours. The organisation started in Argentina before expanding to Chile, Spain and France, and is currently adding members in Italy, South Africa and the United States. about their Châteaux. The entry fee for the tasting is 53 euros (for reservations made in advance, and 68 euros on the day. Half price entry is offered to wine professionals and students. 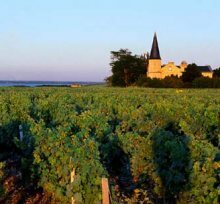 In the evening, dinners will be organised at Châteaux in the Médoc, Graves, Sauternes, Saint Emilion and Pomerol regions. The cost of the dinner is 130 euros per person. On the Sunday, visitors will be able to discover the great growths, with personalised tours and tastings in Châteaux in the regions. To book, please contact: amateurs@ugcb.net. the application has progressed relatively quickly. Mr Osborne is quoted as saying “The establishment of the New England Australia GI will enable wine growers in the district to regionally brand and market their wines. The emerging wine industry in this region will have the opportunity to benefit from its new status.” Situated near the northern border of the state, the large region encompasses the main towns of Armidale, Glen Innes, Inverell and Tenterfield. The Great Dividing Range extends down its eastern boundaries, and the region is north of the Hunter.